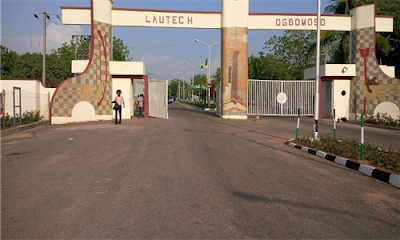 Some people have called for the Federal Government to assume responsibility for LAUTECH. Nigeria cannot afford to. We are already borrowing record sums and ‘printing money’ to finance the budget. And no, corruption is not the problem. If we completely eliminated corruption, we still would not be spending enough to build Nigeria fast enough. The Federal & 36 State Governments in Nigeria budgeted $59 billion (N11.9 trillion) in 2016, for 182 million people. California alone budgeted $167 billion in the same year, for 39.2 million people. There are also already two Federal Universities in Oyo and Osun. Why add a third? A more probable solution is for LAUTECH (and other Nigerian universities) to become self-sustaining. The university needs to start making enough from tuition, royalties, and other sources, to fund their expenses and other investments. There are a few ways to do this. UNIOSUN has managed to do it while owned by the government. Another option is to partially or fully privatize the university. I don’t see a solution that does not include LAUTECH students assuming greater responsibility for funding their university by paying higher tuition. This does not have to happen in one session, and graduated increases over a few sessions can be considered to lessen the impact. Somebody has to pay for good education, and that somebody cannot continue to be the government. The government needs to spend its limited resources on fixing fundamentals, to prepare young Nigerians for life, work, and citizenship. I believe Government should focus on primary and secondary education, where we can build a strong foundation and achieve the aforementioned mandate. The National Youth Service Corps (NYSC) program needs to undergo a thorough cost-benefit analysis. It does not make sense to spend 87% of the Youth budget on 0.27% of the youth population, and my ingoing position is to scrap it. My heart goes out to LAUTECH students, and I hope the university reopens soon. PS: To keep this to about 500 words, I have left a lot implied or unsaid. I'm happy to engage further in the comments (Facebook or Blogger). These are my admittedly uninformed opinions, I am not a public policy expert :). This is a good write-up Oga Koye, I quite understand the angle you re coming from and I appreciate you for making good efforts at addressing this issue without attaching sentiments and politics. However,In the wake of all the interminable crises, I don't see the personal funding of state universities as an immediate solution to this lingering problems. LAUTECH, as an institution, generates a lot of funds from its PD(pre-degree) programmes and still won't stop having issues with smoothly running the University. There is this mantra that "when the head is bad, then the whole body is affected", if Nigeria as a nation, will not see education as a tool to driving the economy by investing a lot into it, then,we won't achieve much as we will only be going back and forth. U.S is a stable country today because of the priority it has given to educational sector and empowering its youth. Going forward, It is evident that the states involved in the running of the institution haven't shown a lot of concern about reopening the school and it's not looking like a long-lasting solution is in the offing. I will want to think that the Federal Government has to intervene and rescue the lives of thousands of students loafing around. The more the students are kept out of school, the more problems we have in the society. A lot of them will resort to constituting nuisance of themselves in the society and this only mean fuelling more fire. On a conclusive note, sir, our tertiary institution will be self-sustaining when we have a stable economy, a corruption-free country and excellent leadership at the top. Thanks for stopping by and thanks for the compliment about being impartial. To your comments on LAUTECH, I guess it's a good thing that the states have commissioned an audit. While we have information on the monthly wage bill, we don't have information on other cost expenses such as utility bills, internet connection, maintenance & repair of utilities, etc. In the absence of that information, we don't know for sure that the funds LAUTECH generates from its PD program are enough to fund the university. In the absence of data, my ingoing position is that LAUTECH probably funds the PD program with funds generated by the PD program. I think we have the option to wish that the government had more money and could invest more in Education, or we can decide to forge ahead and make the most of the lemons we have been granted. Both states cannot pay salaries, so it's a longshot to think they can magically find the money to fund LAUTECH. While I am not absolving the government of its responsibility to weed out corruption, I don't agree that we need to be corruption-free before our tertiary institutions can become self-sustaining. Even in China, with the strong stance on corruption, greed still drives people to steal money every once in a while. But I agree: we should shoot for a stable economy, a corruption-free country, and excellent leadership at the top. Thanks for this Koye! While the government should look into privatising the universities, I think they should also consider creating an economy where people can earn higher wages. At least, they should never miss payment of salaries. How will the parents of the students pay higher fees when they struggle to afford food, clothing and housing because of low income? The government needs to make education investment profitable.